The casual façade of this comfortable country home only subtly hints at the joys within. Intersecting and cascading gables ensure pleasing views from every angle and a discreet side-loading garage is a pleasant alternative to forward-facing garage doors. An ideal home for a lifetime of graceful living with every comfort! 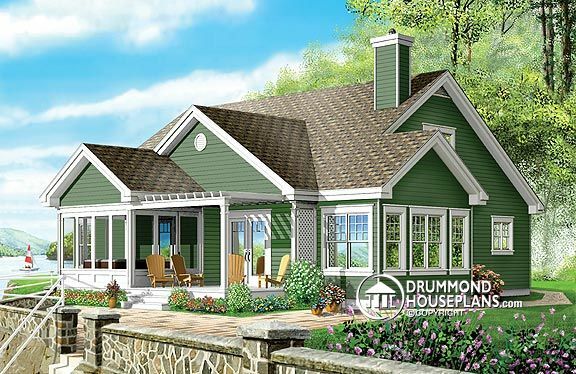 Looking for other Cottage or Waterfront House Plans or Panoramic View House Plans? Check our Cottage and Waterfront Design Collection, Panoramic View Design Collection or use our Advanced Plan Search to find homes with specific features.